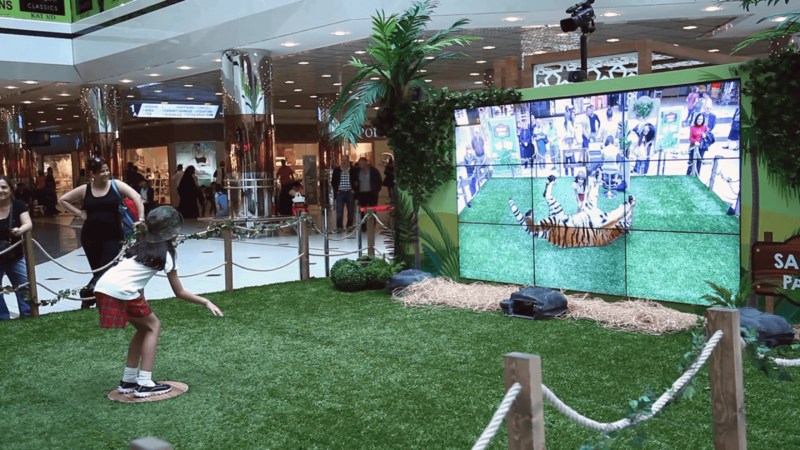 We brought the amazing adventure of an African safari to the children of Turkey by creating a virtual Safari Park in the Cevahir Shopping Mall! Cevahir Shopping Mall, one of the largest in Turkey, wanted an activation that would connect with the children that visit the mall. What better way than through something all kids love: animals! 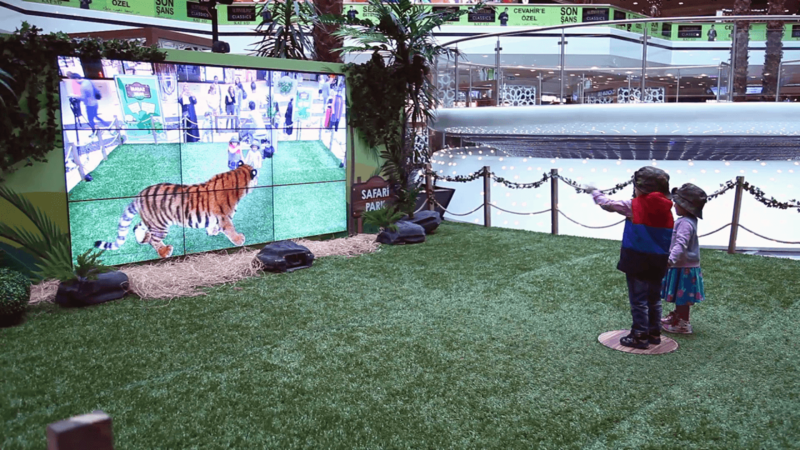 We combined augmented reality and a large stand covered with grass and trees to develop a realistic safari atmosphere with nine HD displays to view the animals. 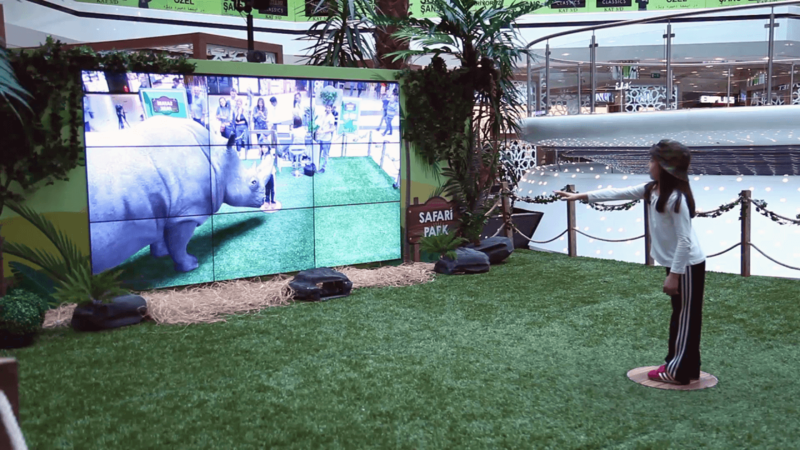 With cameras placed right behind the screens to make a real-time recording of the children in the stand, they were shown on the display playing with zebras, giraffes, tigers, elephants and a variety of other safari animals. Masterfully modeled and programmed to interact with the children, the kids were able to observe, pet, chase and play with them. With kids having a great time playing with their favorite animals while wearing safari hats, there were lots of reasons to smile for both children and parents!